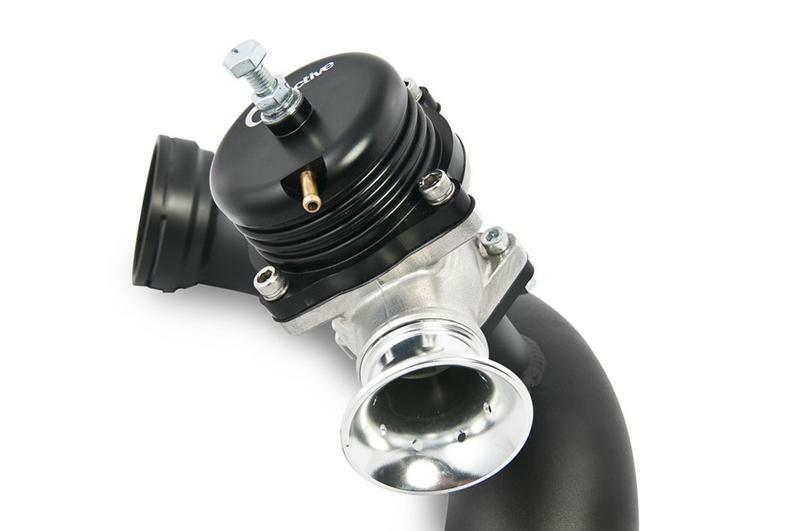 Active Autowerke Blow Off Valve (BOV) - Dezod Motorsports Inc - Home of the automotive performance enthusiast since 2002. The Active Autowerke single BOV sports a huge venturi, designed to handle excess pressure build-up against the turbo compressor impeller blades. That pressure can cause the impeller to stop spinning (a.k.a. Compressor Surge),which can damage the compressor wheel and shaft. With our valve in place, the stock turbos are protected as the boost is raised – you can take HP to the stratosphere, enjoy the spoils of all that performance, and get that cool “whoosh” sound as your machine spits out excess inlet pressure.